BCS Issue #200 Subscription Drive – Thank You!!! Thank you very much to all who bought a BCS ebook subscription during our 200th Issue Subscription Drive! Or a back-issue bundle, or BCS anthologies. We didn’t quite make our second stretch goal, despite a surge on the last day (thank you! ), but we blew away our first goal, and our word-count limit for submissions is now 11,000 words. Thank you for making that happen. Thank you also to all who RT’d or shared or otherwise helped spread word, or bought gift subscriptions for other readers, or tweeted or posted about BCS #200 or stories or podcasts. That is a great help to us too; reaching readers with our stories and podcasts. We have many great stories forthcoming this summer and fall, from returning BCS authors and ones new to our pages, including Marie Brennan, Gregory Norman Bossert, Mishell Baker, KJ Kabza, Stephanie Burgis, Walter Dinjos, Tony Pi, A.M. Dellamonica, and Claude Lalumière. We hope you enjoy them! The final two stories from and bonus podcast from BCS #200, our celebratory double-issue, are live today! 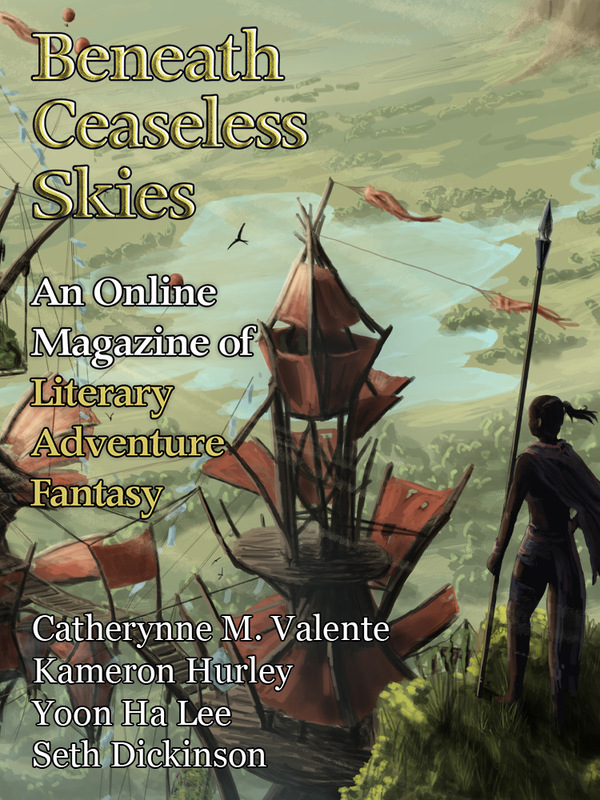 Catherynne M. Valente offers “The Limitless Perspective of Master Peek, or, the Luminescence of Debauchery,” a lushly and wryly voiced tale of a craftsperson driven to ascend in society on their own terms. Yoon Ha Lee (“Foxfire, Foxfire” in BCS Science-Fantasy Month 3 & podcast BCS 168, “Two to Leave” in BCS 174 & podcast BCS 151, among many others) returns to BCS with “Shadow’s Weave,” a tale of a mercenary trying to restore her companion’s shadow. The bonus BCS Audio Fiction Podcast episode is BCS 177: Shadow’s Weave, the Yoon Ha Lee tale. It’s guest-narrated by Tina Connolly, BCS author and narrator of past podcast episodes including BCS 170: A Salvaging of Ghosts by Aliette de Bodard and BCS 150: The Punctuality Machine, Or, A Steampunk Libretto by Bill Powell. All four of the stories in BCS #200 were available two weeks ago for BCS ebook subscribers. Subscribers get every issue a week before the website, directly to their e-reader. Would you like to get BCS issues early, and help us reach our stretch goal to raise our submissions word-count to 12,000 words? Check out our BCS Ebook Subscription Drive at Weightless Books. But do it soon; the Subscription Drive ends Friday! BCS #200 is out today! A special double-issue in celebration of our 200th issue. 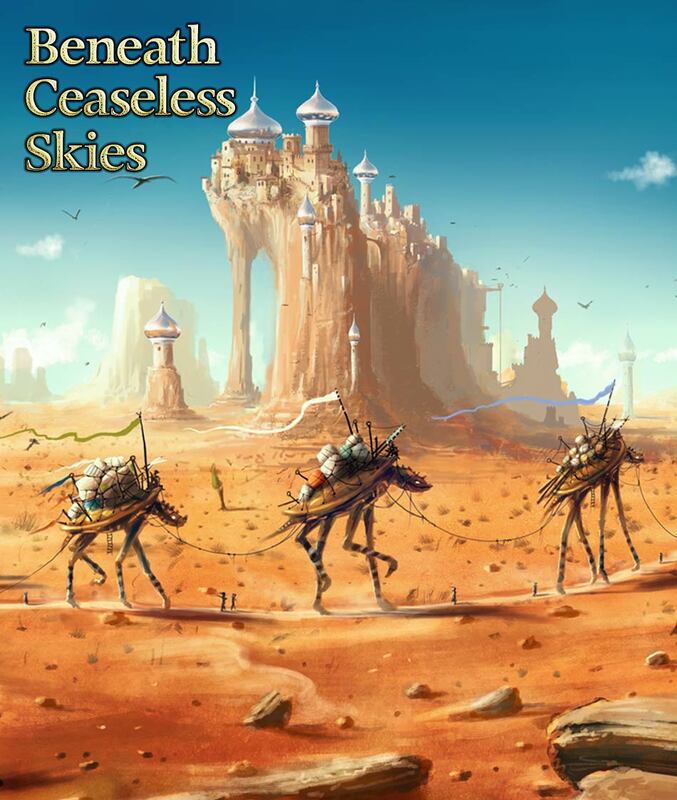 Catherynne M. Valente offers “The Limitless Perspective of Master Peek, or, the Luminescence of Debauchery,” a lushly and wryly voiced tale of a craftsperson driven to ascend in society, on their own terms. Seth Dickinson (“Our Fire, Given Freely” in BCS #145, “Worth of Crows” in BCS #104 & podcast BCS 090, “The Traitor Baru Cormorant, Her Field-General, and Their Wounds” in BCS #85 & podcast BCS 073, among others) offers “Laws of Night and Silk,” a literary epic fantasy of a society’s extreme cost of war made personal. The Valente and Lee stories won’t go live on the website until next week, but they are available right now in the ebook of BCS #200, at Weightless Books and Kindle. The first BCS Audio Fiction Podcast episode for BCS #200 is BCS 176: Laws of Night and Silk, Seth Dickinson’s tale of a society’s cost of war made personal. It’s guest-narrated by M.K. Hobson, who has narrated past BCS Podcast episodes such as BCS 166: The Three Dancers of Gizari by Tamara Vardomskaya and BCS 169: Call and Answer, Plant and Harvest by Cat Rambo. The bonus BCS Audio Fiction Podcast episode, out next week, will be BCS 177: Shadow’s Weave, Yoon Ha Lee’s tale of a mercenary trying to restore her companion’s lost shadow. It’s guest-narrated by Tina Connolly, BCS author and narrator of past podcast episodes including BCS 170: A Salvaging of Ghosts by Aliette de Bodard and BCS 150: The Punctuality Machine, Or, A Steampunk Libretto by Bill Powell. The From the Archives story with BCS #200 is “The Sword of Loving Kindness” by Chris Willrich, a tale of Persimmon Gaunt and Imago Bone; our very first story, from BCS #1 back in October 2008. What a long and wonderful quest it has been! We’re celebrating BCS #200 with a BCS Ebook Subscription Drive! To see how subscribers get issues early, what great authors are forthcoming in BCS, and how you can help us reach our goals of raising our word-count limit, visit Weightless Books. 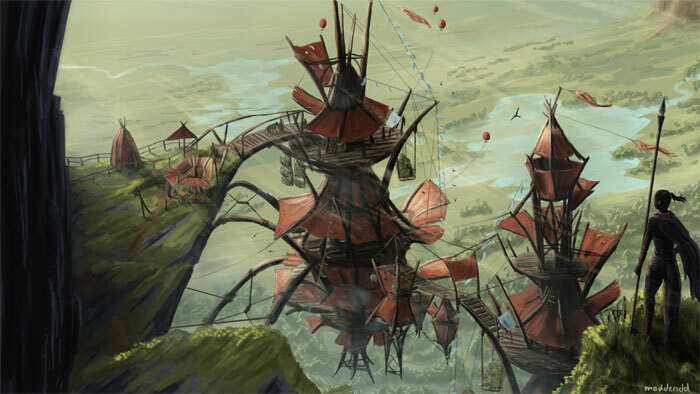 All behind new cover art for BCS #200 and beyond: “High Above the Savannah” by Martin Ende.